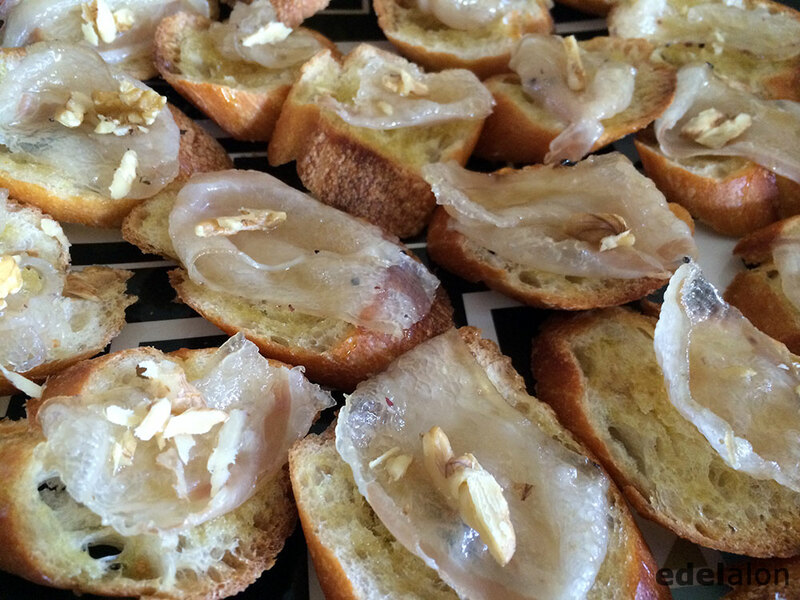 Here’s another recipe for one of my favorite salume – Lardo. I discovered lardo back in 2012 and buy it at every chance I get. Here’s my last entry about lardo and where to get it. The following is a recipe that is hard to mess up. My friend John B. introduced me to this recipe. Normally, I would just slice thin pieces of lardo and have it by itself. I think it makes for great dinner parties and will amaze all your guests. I’m not going to tell you how much of each ingredient so just start off with as much lardo as possible. Just match the picture above. Preheat the oven to 375ºF. Place the baguette slices on a baking sheet and toast them in the oven for 5 minutes. Remove them from the oven and add a slice of lardo to each piece of bread and top it off with some toasted walnuts. Place it back in the oven for 3 minutes. Top them off with some freshly ground pepper and salt. Serve immediately. Add dates, orange peel, basil, or sun dried tomatoes.